Sweat and drain the eggplants. Deep fry the eggplant slices. Lay them on paper towel to remove as much oil as possible. Layer the Eggplant slices on the bottom. Add the Water to cover. Cook for 45 mins or until it absorbs all the water. 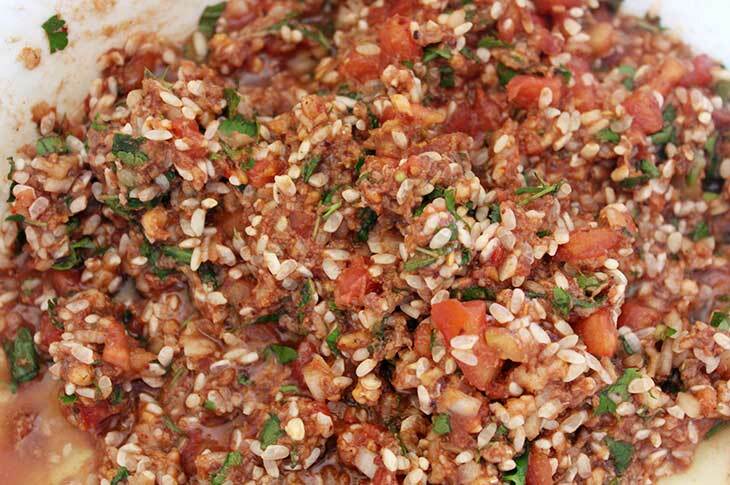 This is a family recipe passed on from my late mother, Armenouhi. And now it's a favorite in my household. We enjoy this meal with a large jug of ayran.